Are you feeling dullness while looking at the mirror with the same hairstyles every day? You might be looking for different hair ideas that you may wear for 2019. My dear, you are in the right place. 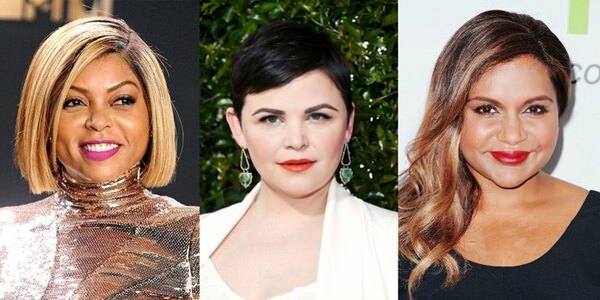 That said, here are 103 different hair ideas that would suit you if you have a round face. Let’s start. 1. 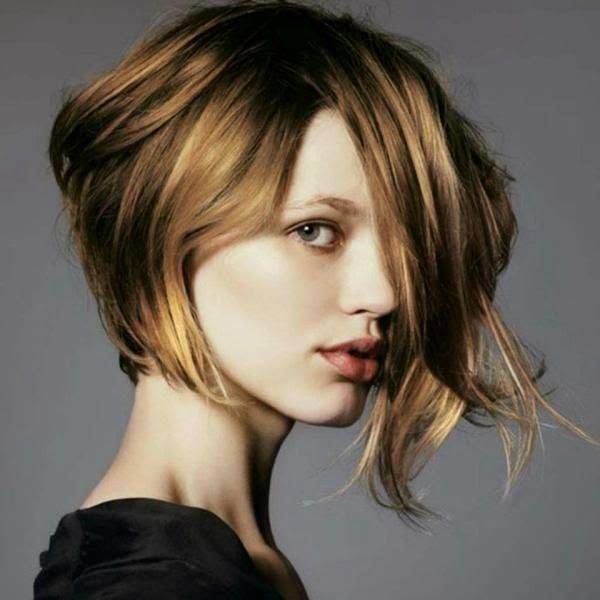 Let’s start kicking the ball with this asymmetrical bob cut which can give you a sophisticated look. 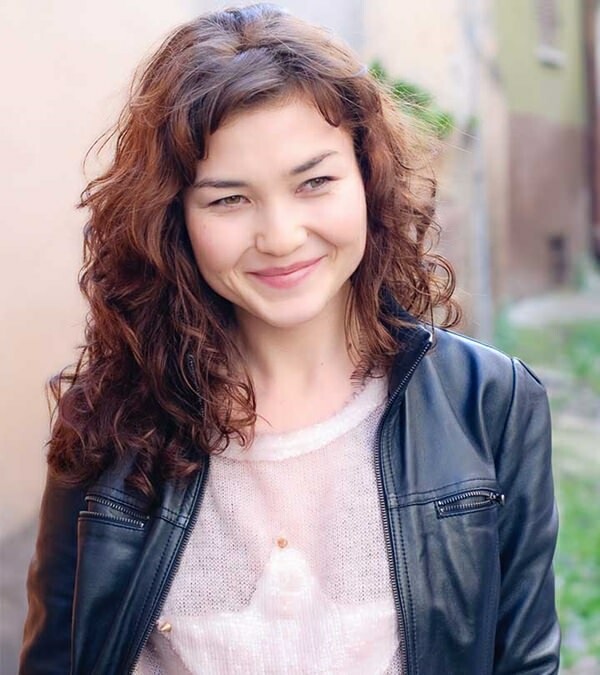 This hair style has a long messy look on one side while short on the other. Give a shade of mixed dark and blonde shade color to complete the style. 2. 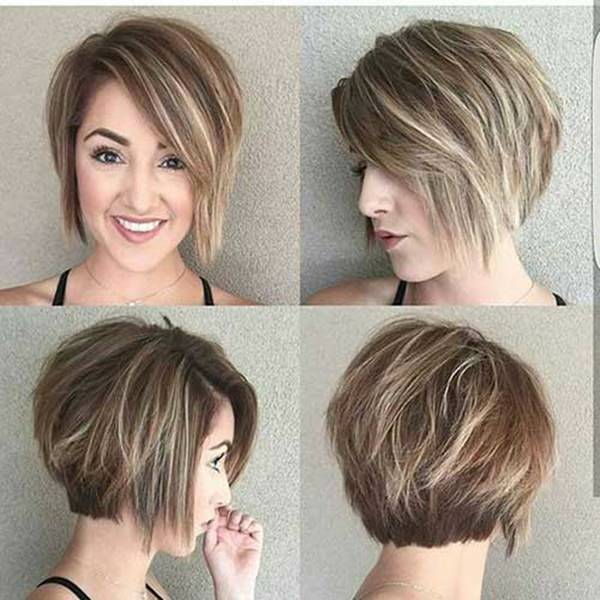 A simple short hair cut will never be an old style with dark roots and lightest blonde color from midway to the end of your hair strands. 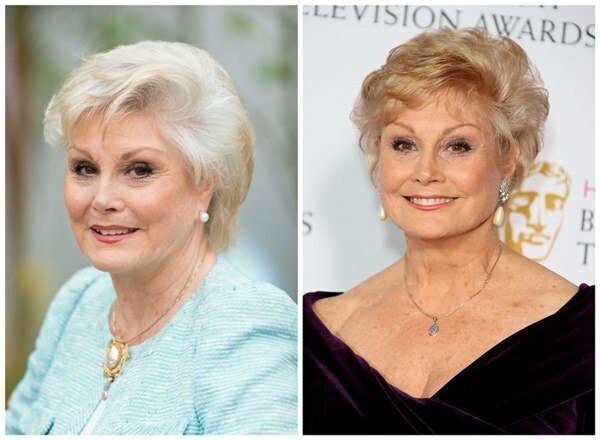 This hair cut is leveled with your chin to cover up excess shapes on your chin. You may also play with different colors and shades to make this hairstyle classy. 3. You may also want to try this long silky hair. This long straight silky hair will never bring you down in a spotlight. This will be perfectly noticeable with dark shades like black or with dark shades of brown and dark red blonde. 4. If you are tired with the touches of your hair strands on your cheek or shoulder, you may try this bolder look of a bob cut. Let your hair be brushed upward with small curls to make it look messy-like. Black and dark colors will perfectly blend this hairstyle. 5. 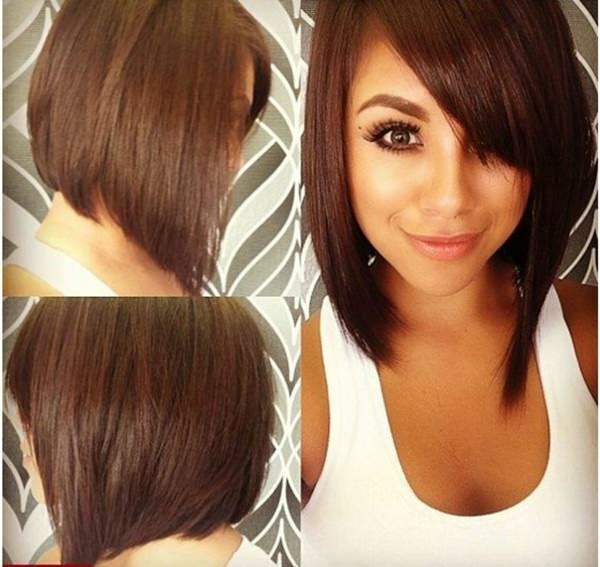 Another Bob style that you may want to try is this C-Cut. You just need to cut it short at the back and let the front end remain long. This will leave a graduating look in your hair. Having it colored with light blonde roots and darker shade of blonde at the end of your hair will perfectly give it a simply elegant outcome. 6. Have a fresh look with this spiky auburn blonde bob cut. 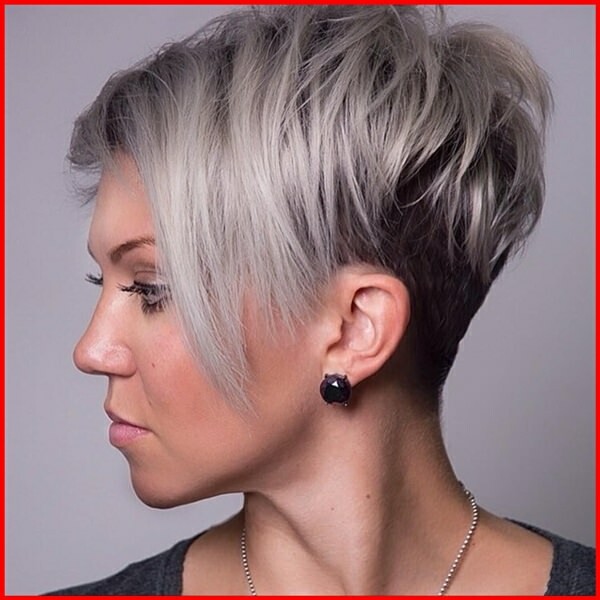 This hair is cut is short, leaving the strands spiky on its end covering your ears. 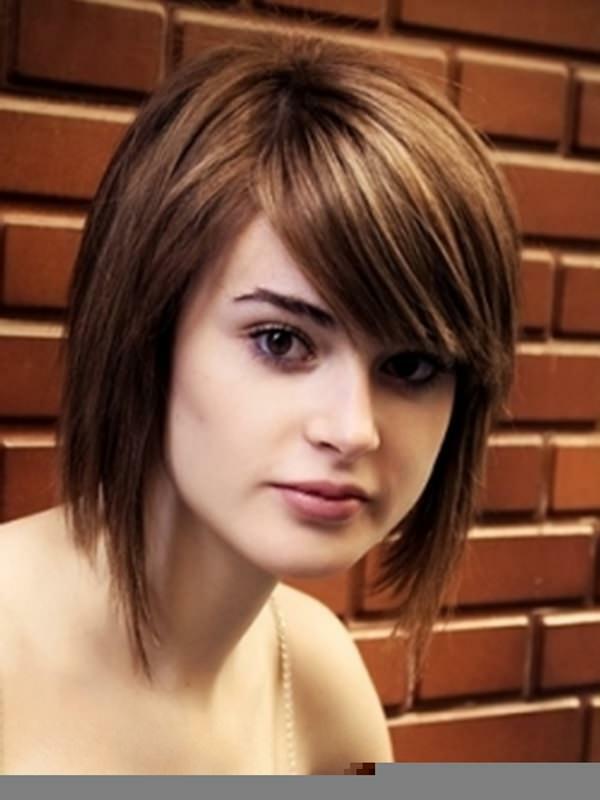 Have a stylish side-swept spiky bangs also filled with auburn color. Your perfectly shaped face will totally stand out when you wear this. 7. Whatever glamorous event that you will be attending for next year, this volume curly hair style is definitely your best friend. This hair style has big curls midway until the end of your hair and a combination of dark roots and lavender hue that would complete your glamorous look. 8. If simplicity is your style, then this long curly hair is for you. Just have big curls on it from the midway until the end of your hair to make you look classy. Have a blend of black and dark brown of hair color to complete this set. 9. The best way to show off outside is to wear this short wavy sun-kissed hair style. 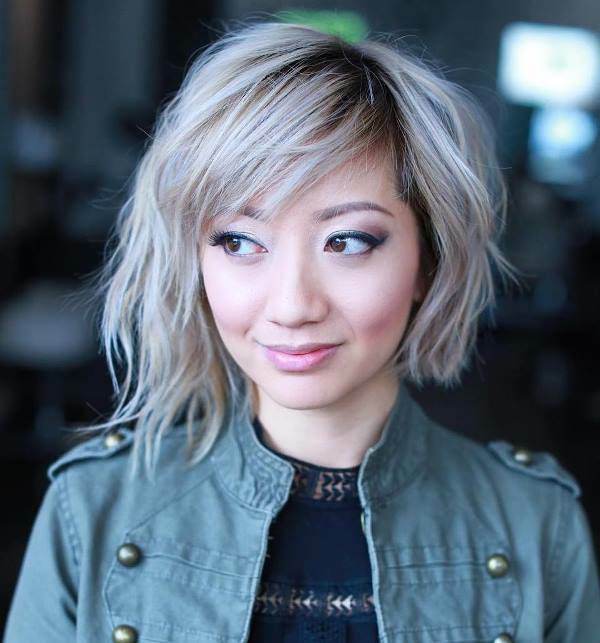 Have your hair cut short with a wavy style and color it with a tone of sunset blonde. For sure this will perfectly complete your summer. 10. If you want to look professionally with a hashtag #version2.0, you may try this dark fringy bob. 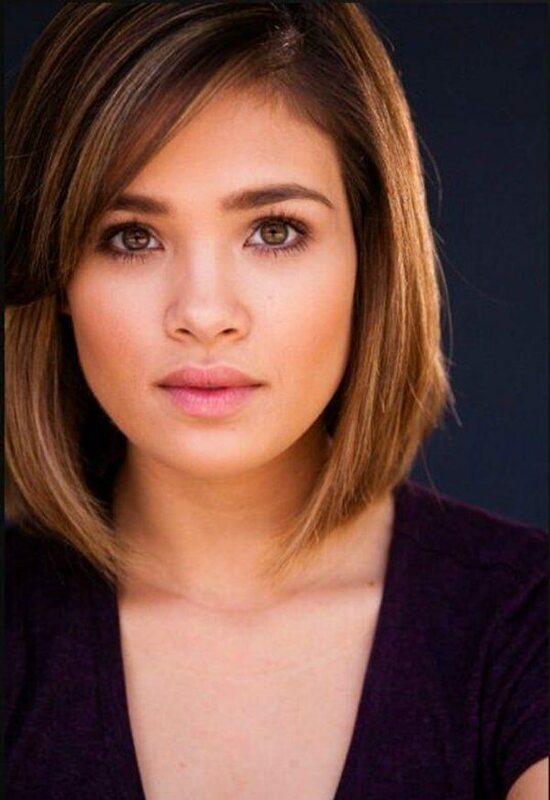 This is a bob cut with a light fringe on the front end of your hair. This covers the other side of your ear and show-off the other side with your earrings. This look is fit with black or dark shade of colors. 11. A way to cover up your age and present the child in you is to wear this big braided hair style. This is good with a long hair having loose big braids. Do not forget to left hair strands on the other side to show an innocent look in your hairstyle. 12. 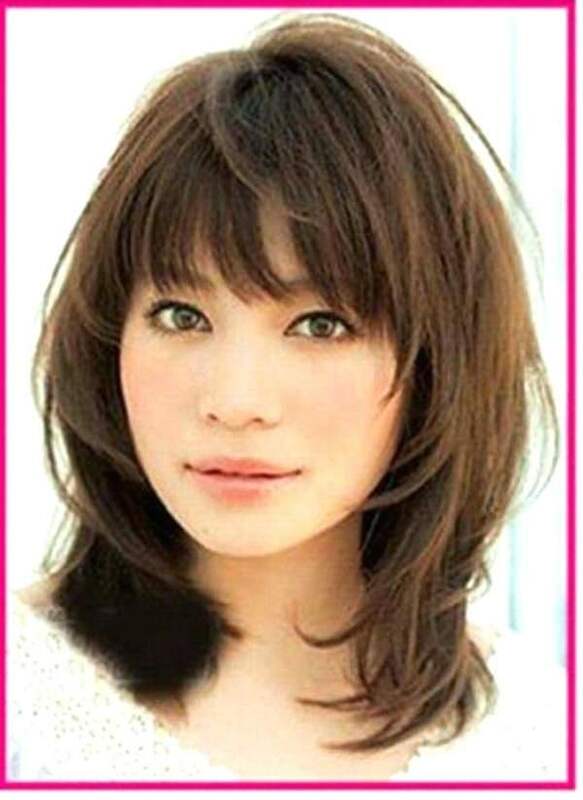 You’ll probably look simply stunning when you have this wavy short hair. This hair is cut leveled with your neck. 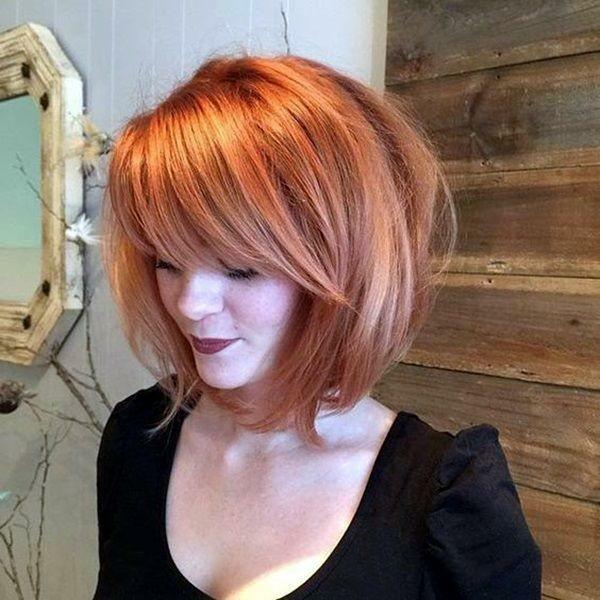 Have a total stunning look with bold red hair color while a having a darker shade on your side-swept bangs. 13. 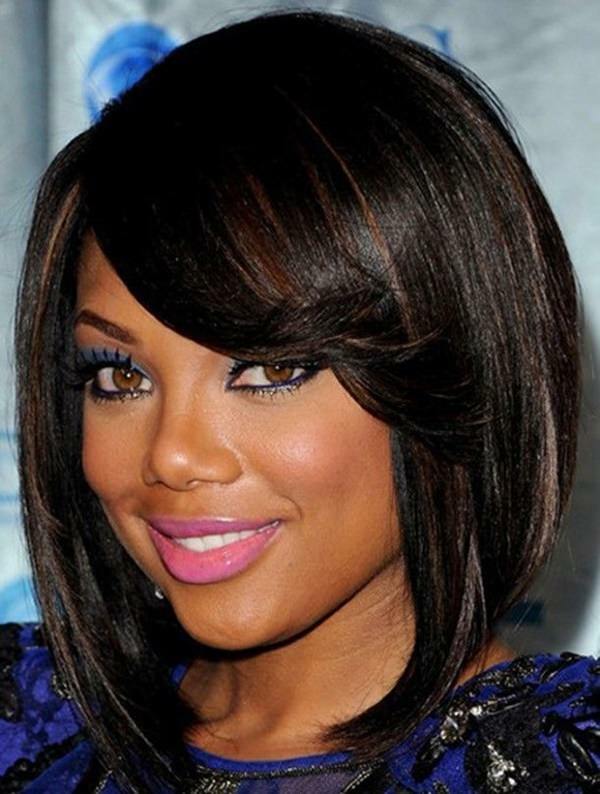 This straight long and brownish bob cut will never be too dramatic for your new hair. Give a small detail in your style by putting on a side-swept clean bangs. This hairstyle is totally popular with some of our celebrities out there. 14. 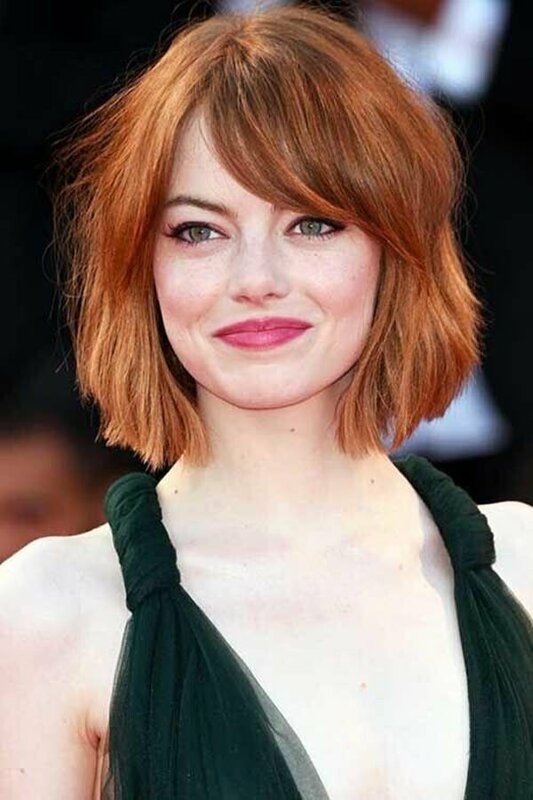 Feel confident while giving them your best look by wearing this long reddish bob cut. You may use a light or dark roots to blend it with its reddish color. You may also add some spice on this style by giving it a noticeable side-swept long bangs. 15. You’ve got to be the best chic in town by this sleeky straight bob. This hairstyle has the same long length in the front end and short length at the back. This look will be perfectly done if you put on a modish bangs on one of its side. 16. It’s always boring to be just normal. Have a bob cut with the other side that is thrown away on the other side to add volume on it, leaving short details of your hair on the original side. This will definitely fit with any light hair colors that you wanted. 17. I know all of you still want to look fashionable with a long hair. Have a curly hair which starts inches from the roots. Since the curl will start nearer from your scalp, small curls will definitely suit with this style. 18. 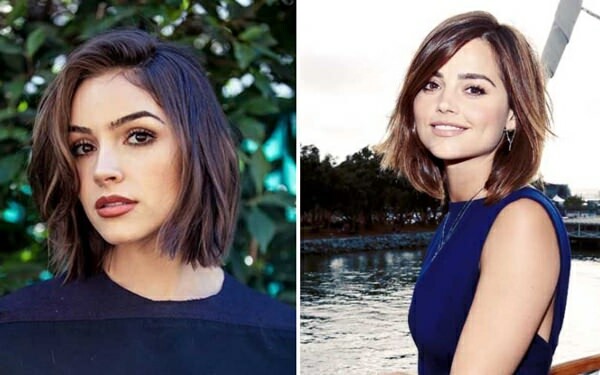 Do not worry if you have a thick short hair for this hairstyle is totally fit for you. Have a bob cut aligned with your chin with smaller volume on the hair ends and giving thicker volume to the upper part of your hair. This will never be complete without a full volume bangs that is swept on the side. 19. Let your long hair fall down along your shoulders. You may also try putting a wavy style on it. A blonde with a darker shade on its roots and hair ends will help give some details with this hair style. 20. Curly hair will never be out of style. 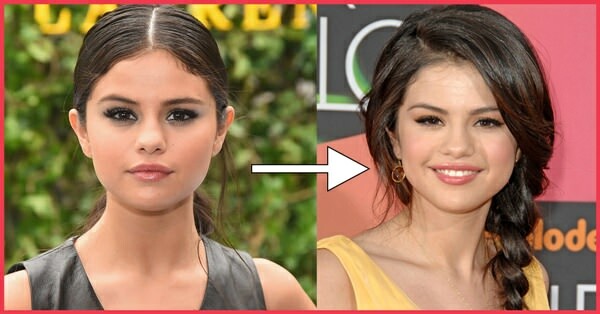 If you have thick and black hair color, you may try to revitalize its beauty by simply putting some big curls on it starting from midway down to your hair ends. This will totally help you look stunning in any occasions or parties. 21. Long thin hair will never be forgotten. Let your hair flow on its side and give small waves on it. I know that you are sometimes troubled with your forehead, that is why a striped thin bangs in the front will definitely cease your worry. You can have an overall dark or black hair color with stripes of copper or reddish hair color. 22. 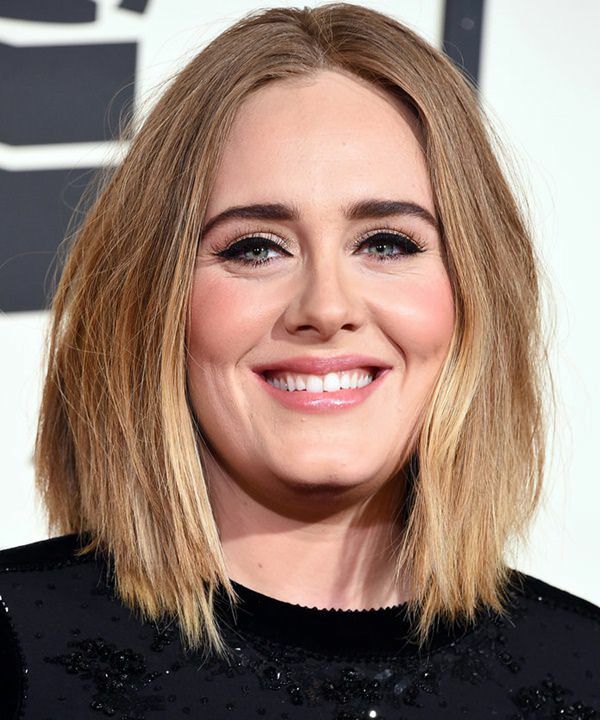 You’ll definitely look younger with this sleeky and simple bob cut. Cut your hair with the front end leveled with your collar bones while the graduating side up to the back portion be leveled with your neck. Put a shiny style on it with a darker shades of hues. 23. With this hairstyle, your hair must be leveled with your shoulder. Give a big curl with your whole hair and add some fringe at the end of your side-swept bangs. 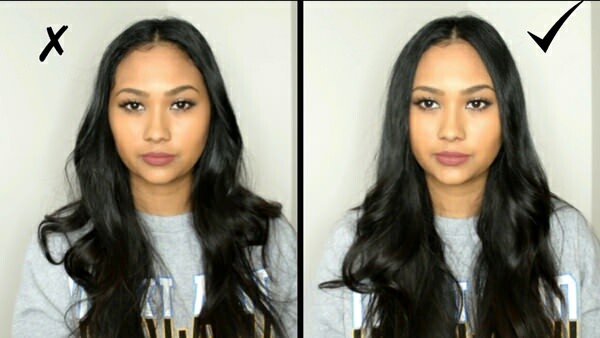 Make sure not to cover up your forehead with your bangs to show off the complete details of your face as it blends with your look. 24. You will never look dull if you want to stay simple. 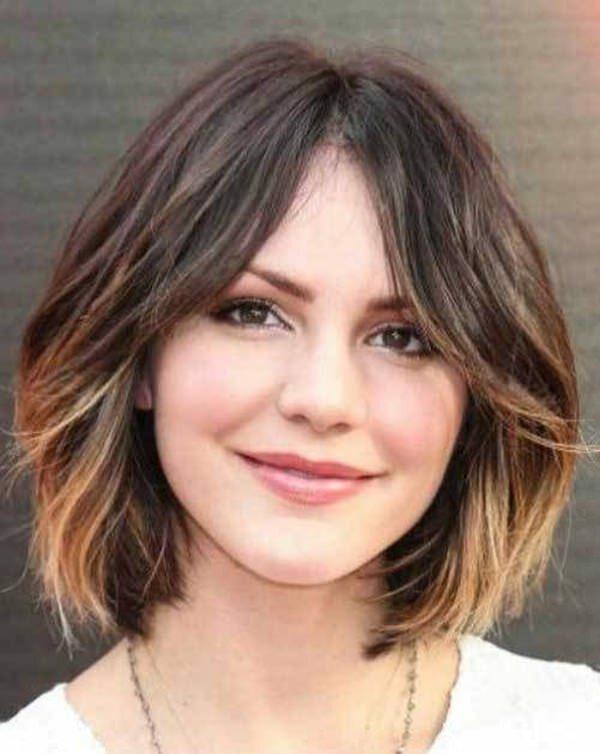 Have this long bob cut with little waves in your hair to simply look extraordinary. This hairstyle has a darker shade from its roots down to its midway and a lighter shade of blonde until its hair ends. 25. You may put some little details with your new hair style if you have thin short hair: just add some bangs on it. This hairstyle can be done with black, brown, and copper hair colors. You may also try another colors and shades to make it vibrant. 26. Big waves in your hair will never bring you down. Make some big waves from the midway of your hair down to your hair ends. A cute waved side swept bangs will also give an additional spice with this style. A powerful combination of brownish on the outer side and black on the inner layer will complete your dazzling look. 27. Long hair will always be trendy. To give a new look to your long hair, you can color it with copper or reddish blonde. This will totally bring out a new you without leaving your old style. 28. 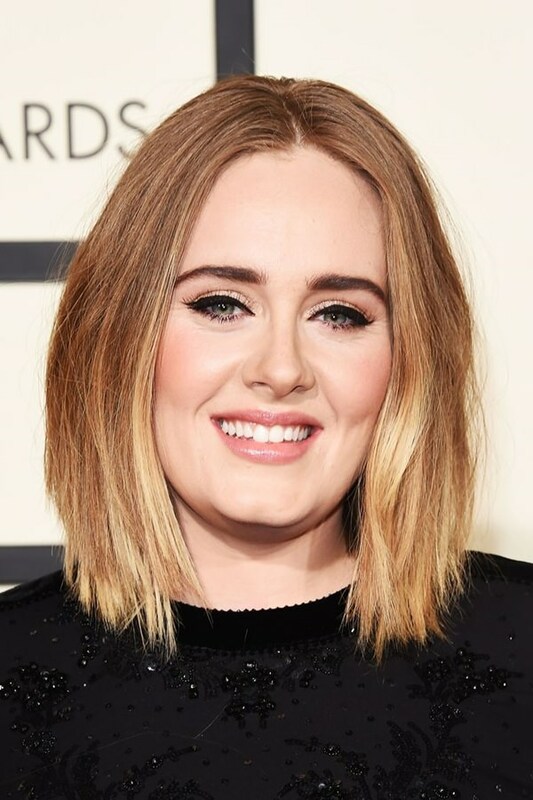 Look precious with this golden bob cut. Have an inner color of black or dark shades to give emphasis on your golden blonde. Cut it short with little waves to make it simple yet extraordinary. The never out-dated sideswept bangs in this style is also exceptional. 29. I bet this cute look will totally give a bang for your 2019. 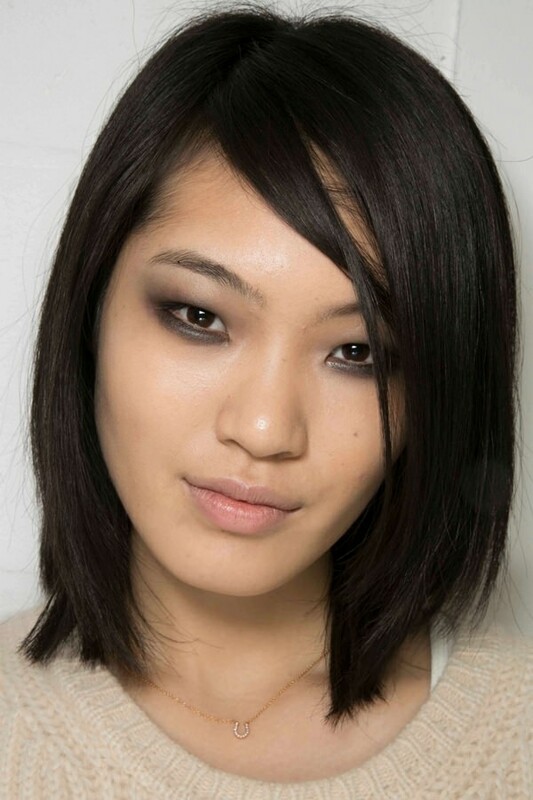 Try to have this bob cut having the ends facing away your cheek bones. 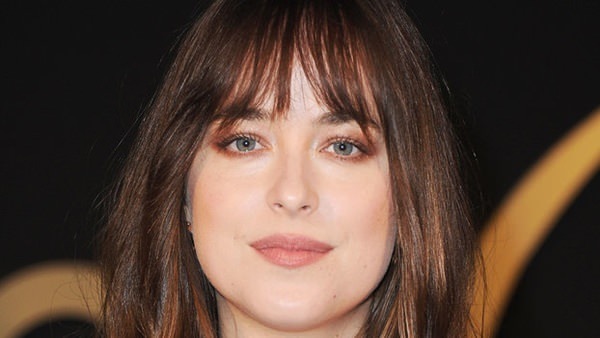 A sideswept volume bangs will dramatically spiced it up. Color it with black or brown on the upper portion with a lighter shade on the end part. 30. 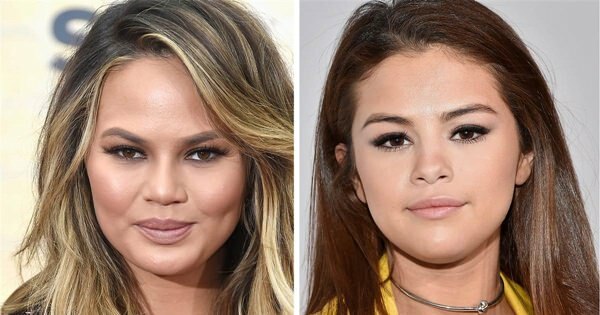 Go back to being in your 20s with this messy look wavy hair. Let your hair grow long and put some curls on it. 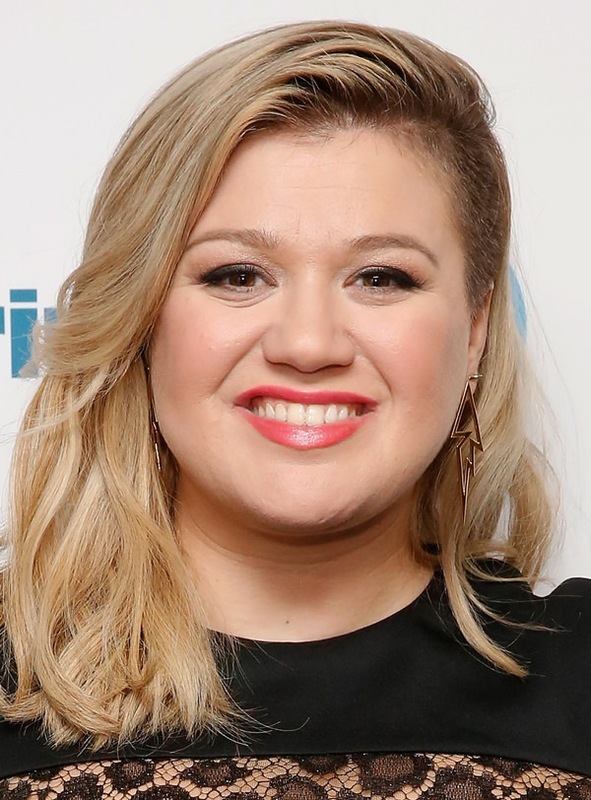 Put some sideswept bangs on it to harmonize the curvy styles. This is good with the lightest blonde available in the market. You may also add up some darker shade in the inner layer to emphasize the outer shade. 31. You’re totally dazzling with your short hair if you put some big curls on it. This will help your hair look thick and detailed. Give a detailed curls and curves on the front side with a little waves and curls at the back to give a balance. This is best with black and brown shades of hair color. 32. Step out from having a long straight hair by trying to have this long V-cut hair. This will totally give a new look to your accustomed long straight hair. Start with black hair color down to its midway and give a lighter shade up until its end. 33. This hair style will totally make you stand out among the rest. With the volume bangs that you have and a detailed curls on your hair, you will totally be the center of attraction in any events. 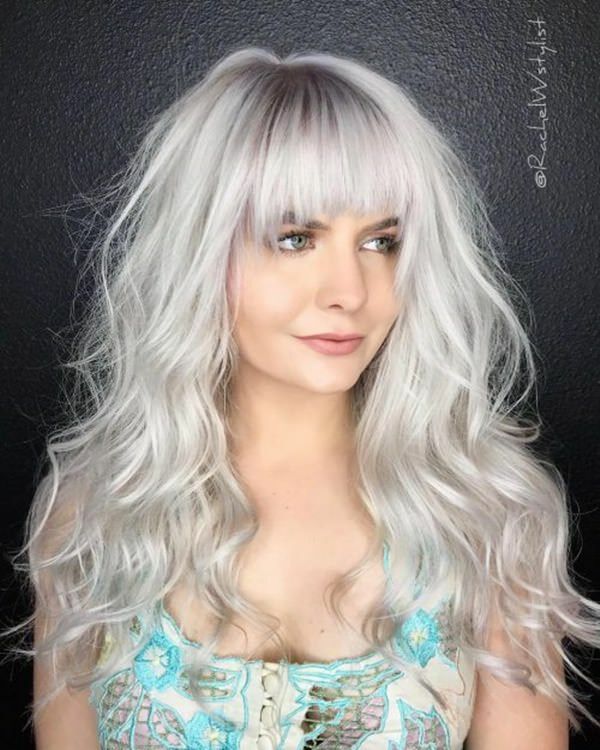 The best tool that makes this hairstyle stunning is its silver color. 34. Waves in your long hair will always be a great asset. In this hairstyle, those waves will show an elegance within simplicity. Let your wavy hair fall down and let the waves show its beauty. Blonde will really suit with this kind of hairstyle. 35. You may also wear this golden brown curly hair. Give big curls at the ends of your long hair and have some waves in the middle. You may also put some sideswept bangs to complete a glamorous look. 36. Who says that short hair can’t look straight and silky? This next hair idea is for you. 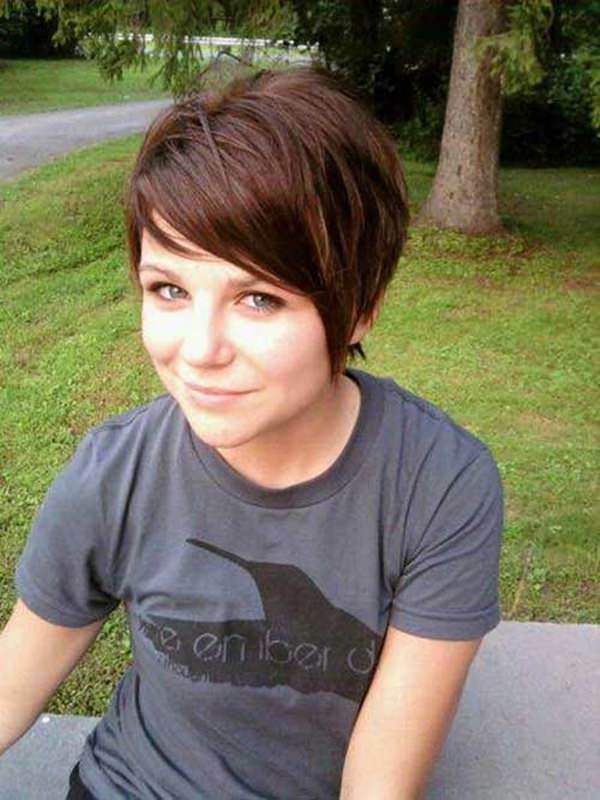 This hair is short cut and sleeky in style with an overall black color with some stripes of brown hair color. Also, do not forget to put some sideswept black bangs. 37. A nice way to give a clean cut in your long hair is to let the both sides face with each other. This cut will totally help look you more tidy. Putting some sideswept bangs will never give dullness to this kind of style. 38. This time, let your bangs be seen. Tie up your hair leaving the bangs along to be your crown. In this style, you put more hair stands on the other side to give some details. Since you are showing off your bangs this time, you may try to use different colors for it. 39. You may try having some black shades from the roots and let it turn blonde starting on the midway down to the hair ends. This is good with long and wavy hairs. Give it a try for you to experience having something new in your long wavy hair. 40. 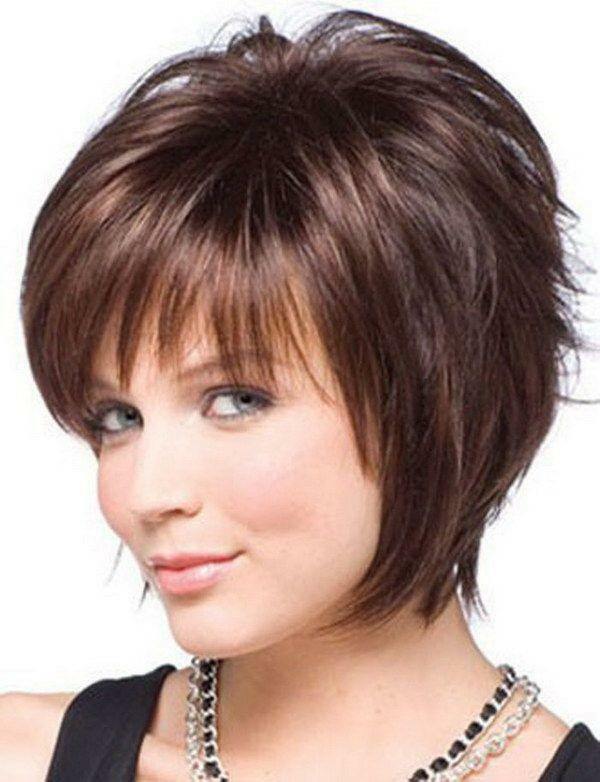 Show off all the confidence you have in the world by wearing this short spiky bob cut. Give it a messy look to bring out the happy personality in you. A nice way to emphasize the blonde color of your hair is to put some black colors on its inner layers. 41. 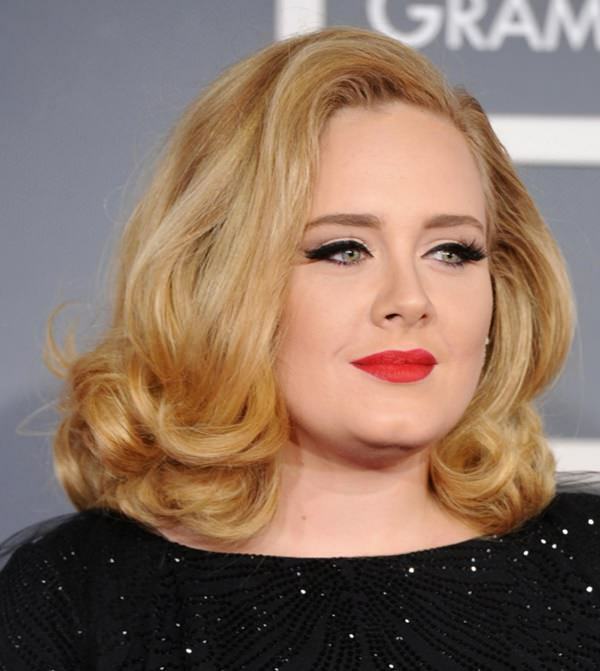 If you want to look fresh, you may want to try having a short curly hair. Have a detailed curl all the way. Give it a refreshing look by using light blonde colors. 42. Another way to give simplicity to your style is to use this kind of hairstyle. 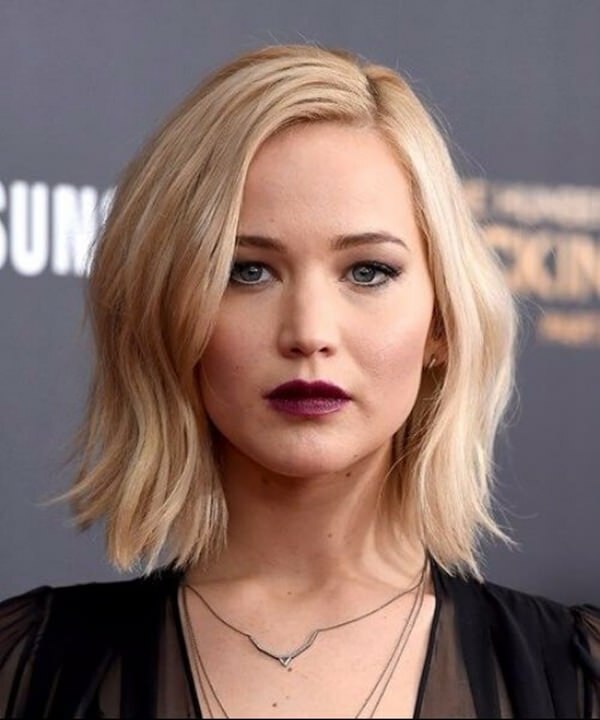 Have a long bob cut colored with blonde. Go out and share your simple but elegant beauty! 43. You will never look dull if you want to stay simple. 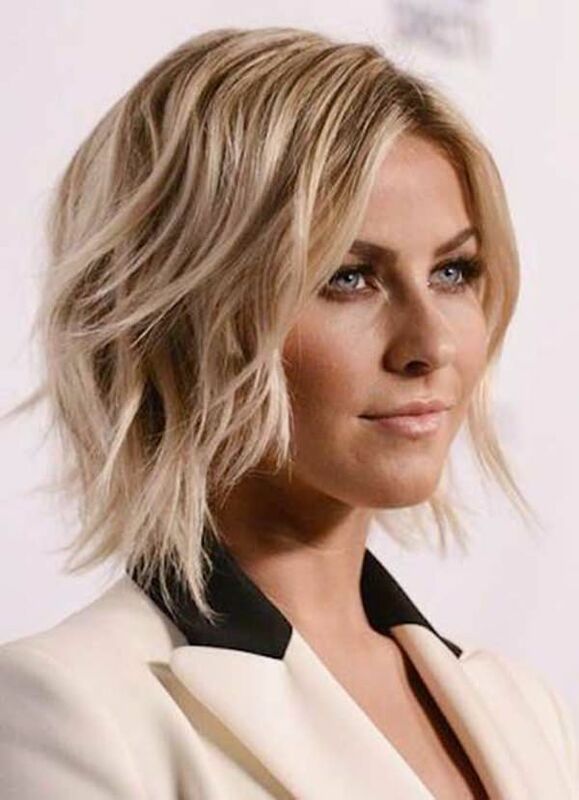 Have this long bob cut with little waves in your hair to simply look extraordinary this 2019. This hairstyle has a darker shade from its roots down to its midway and a lighter shade of blonde until its hair ends. 44. Give a blast this 2019 with your sophisticated look having this golden straight silky hair. This style uses black hair colors on its roots and change it with blonde from the midway down to its end. 45. This simply gives you an intimidating but sweet look. 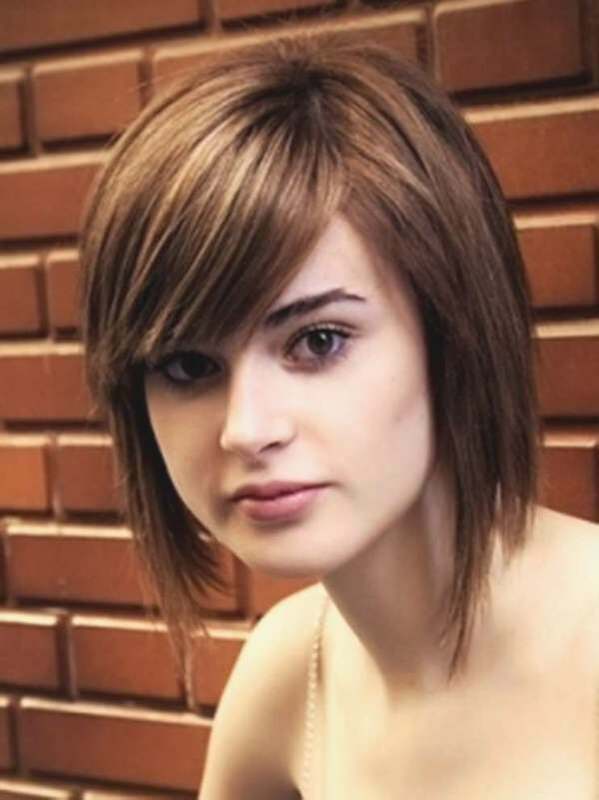 This is having a short hair with a wide sideswept bangs. The golden blonde will totally bring out the best of this style. 46. Be the center of attraction in every parties that you will be attending with this long with big curl ends. This has darker shades on the roots with a lighter blonde on the midway and brown shades on its curl ends, giving a nice detail in your hair style. 47. 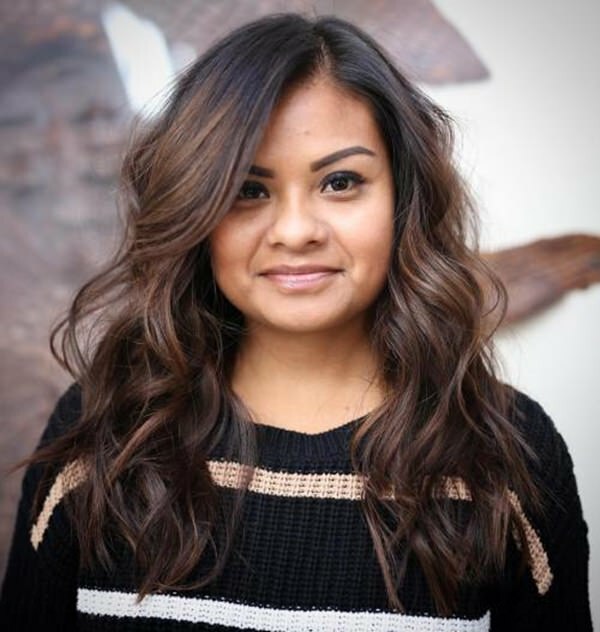 Another long hair curl ends will help you stand out. This hairstyle uses darker shades of hair color. This uses black colors on its roots and a combination of black and dark brown color on the midway until the end. Let your hair fall on one side. 48. This hairstyle has big waves giving cute details in your hair. Match it up with a sideswept bangs and a golden brown hair color. 49. 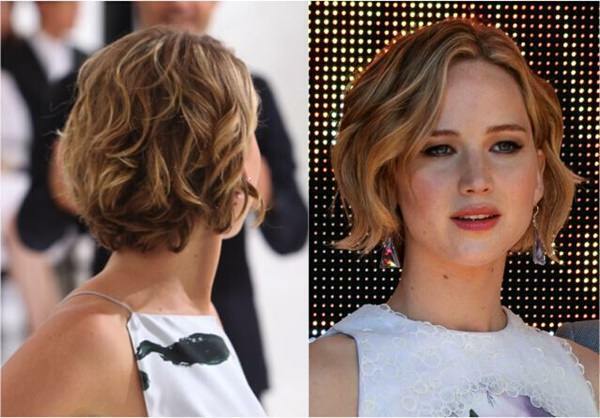 You’ll probably look simply stunning when you have this wavy short hair. This hair is cut leveled with your neck. Have a total stunning look with beeline honey blonde hair color while having a darker shade on your side-swept bangs. 50. 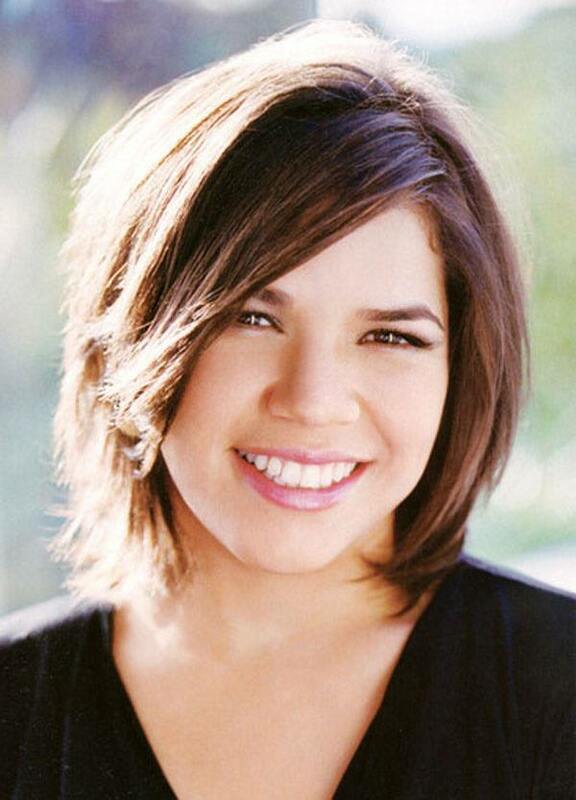 Another way to style up your bob cut is to beautify it with combining the colors that you have. In this style, the inner layer is colored with brown while the outer layer is blonde. See how they harmoniously combine with each other.